AUSTRALIA is facing a "debt crisis" - and the property market and our entire economy are at risk as a result. That's according to the sobering 60 Minutes segment Bricks and Slaughter which aired last night, revealing the country's property downturn was just the tip of the iceberg. According to reporter Tom Steinfort, the current slump is actually "more like falling off a cliff", with a number of real estate and finance experts claiming houses could plummet in value by up to 40 per cent in the next 12 months. If that happens, it would also cause an economic "catastrophe". Mr Steinfort spoke with data scientist Martin North from Digital Finance Analytics, who said Australia was uniquely vulnerable when it came to an economic crash tied to a property downturn. "At the worst end of the spectrum, if everything turns against us we could see property prices 40-45 per cent down from their peaks, which is a huge deal," he said. "There's $1.7 trillion held by the banks in mortgages for owner-occupies and investors. And that's about 65 per cent of their total lending. "That's higher than any other country in the Western world by a long way. "There's probably no country in the world more susceptible to the ramifications of a housing crash than Australia. We are uniquely exposed at the moment." Mr North said Australia was now in the same position as the US was back in 2006 and 2007 - a position which triggered an economic collapse. "As a society, and as a government, and as a regulatory system, we're all banking on the home price engine that just goes on giving and giving and giving. It's not going to," he said. "We've got a debt bomb, we've got a debt crisis and at some point it's going to explode in our face." It's a sentiment shared by Laing and Simmons real estate agent Peter Younan, who said the median house price in his patch in Granville in Sydney's west had dropped from $1.2 million to $1 million in just one year - a shocking $200,000 plummet. He said foreclosures had also risen by 600 per cent in the region. "The mortgage stress is definitely being felt especially in this area," he said. 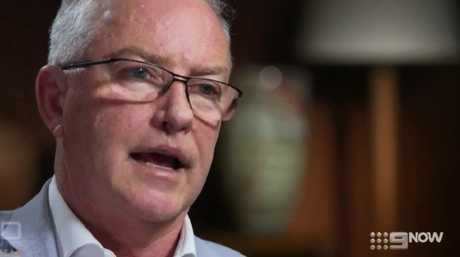 60 Minutes also spoke with several Aussie homeowners who gave harrowing details of the stress they faced trying to pay off their mortgages, including having their power turned off and being "hounded' by their banks. Market analyst Louis Christopher of SQM Research said the market had been "clearly overvalued", labelling the downturn as the "correction we had to have" - at least in Sydney and Melbourne. "On our numbers, Sydney was effectively over 40 per cent overvalued. And Melbourne was overvalued by about the same amount," he said. But property investor Bushy Martin said the blame lay squarely at the feet of buyers who "mortgaged themselves up to their eyeballs" in a bid to snap up dream homes before being able to afford them. However, the segment has also sparked backlash online, with some claiming the situation had been exaggerated. One Reddit user branded the report as an example of "alarmist journalism and scare tactics", while another said it was "dramatic and cringe-worthy". 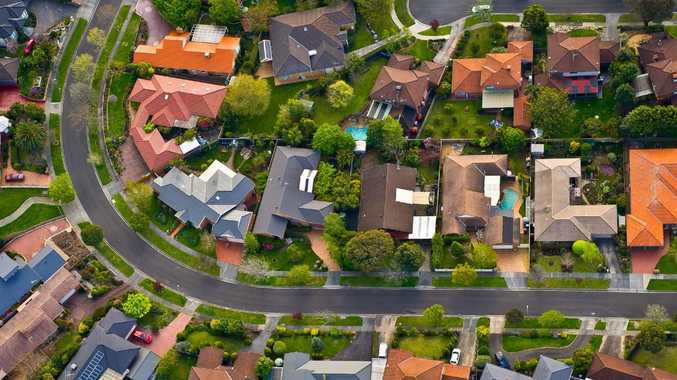 Others also criticised the segment for making it seem like all homeowners would be affected, when the downturn was actually mainly focused in the NSW and Victorian capitals. And some said it was unfair to blame the banks for the situation, and that homeowners needed to take responsibility for their own decisions. That was in response to comments made by one homeowner on the program, who said the bank had "suddenly switched the mortgage to interest and principal", raising his repayments by 57 per cent. "The interest only part annoyed me the most. The bank didn't 'suddenly change' your repayment from (interest only) to (Principal and interest) your IO term expired. You a) knew this would happen and b) assumed the bank would renew it when it expired. I hope this speculator gets burnt first," one Reddit user said. However, others slammed the banks for handing out multiple interest-only loans to buyers. "They raked in the cash from dodgy loans for years and are crying wolf now. It's negligent beyond words," one Reddit user said.